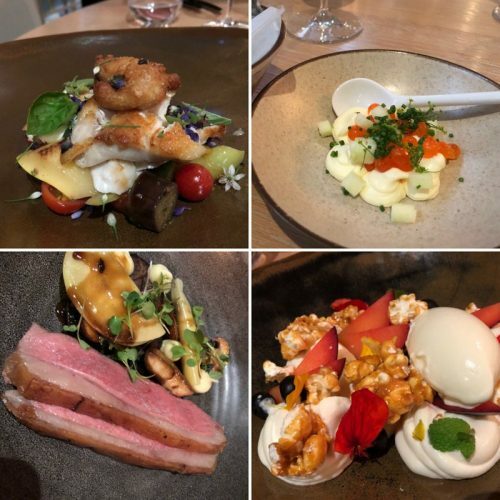 Arbour is widely regarded to be the best fine dining option in the Marlborough region. I visited with friends yesterday evening and we had a really good time. The kitchen here is currently on a roll. We chose the ‘feed me’ option on the menu: you choose 3, 4 or 7 courses and the kitchen cooks something for you. I really like this option, because when you are going somewhere serious, it’s nice to put yourself in the hands of professionals. The dishes here are visually beautiful and quite complex, but not overelaborate. I was especially impressed by the locally sourced lamb, which was served rare with beautifully flavoured fat that had been charred slightly on the outside. This was precision cooking. The wine list is Kiwi, with the exception of some Champagnes, and there’s lots of good stuff here. 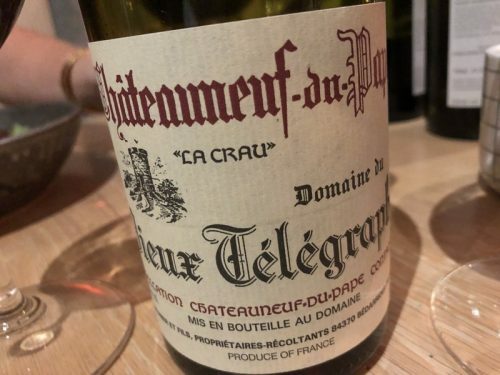 But if you ask nicely, there’s a special reserve list of mostly single bottles from Fromm winemaker Hatsch Kalberer’s private cellar that you can order too. This is where our Vieux Telegraphe 1995 came from (it was a very fair $195). We began with the Quartz Reef bubbles, which were quite lovely. Rudi Bauer is making very good fizz these days. 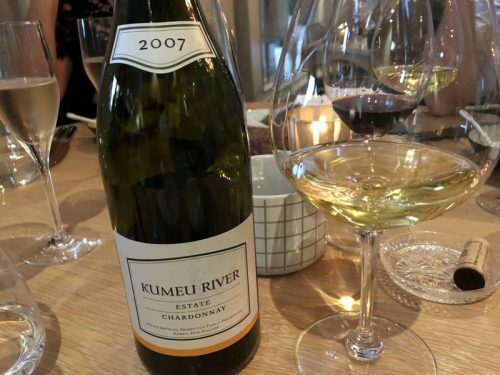 Then we moved onto the Kumeu River Estate Chardonnay 2007. It’s nice to find an older bottle like this on the list, and Kumeu’s Chardonnays age beautifully. Then we ordered a bottle of the Vieux Telegraphe 1995. I was a little nervous: I’ve drunk quite a few of these, but I wasn’t sure how well this would be holding up (the last one I had was a few years back). It has actually held up really well, and there’s no need to drink well cellared bottles of this up now. Then a Kiwi Pinot, but from Central Otago. It was the 2014 Cornish Point from Felton, a vineyard I really like.